Recently in many front-end conferences, the accessibility topic appears very often and in some way, it reminds me the endless discussion about how styles should be done using the CSS-preprocessors/CSS or some CSS-Modules solutions etc. Hot topic? So how to make our own sites more accessible? and I think there are many other meaningful and good answers for this question. I just do not know how to do my site more accessible etc. etc. When I have started working on accessibility in my previous place of work, I have found out for myself, that most of the issues with the accessibilities with the modern web tools are easy to detect (and from time to time slightly harder to fix). So, I collected practical points that include tools link, that will help you easily detect the accessibility issues. 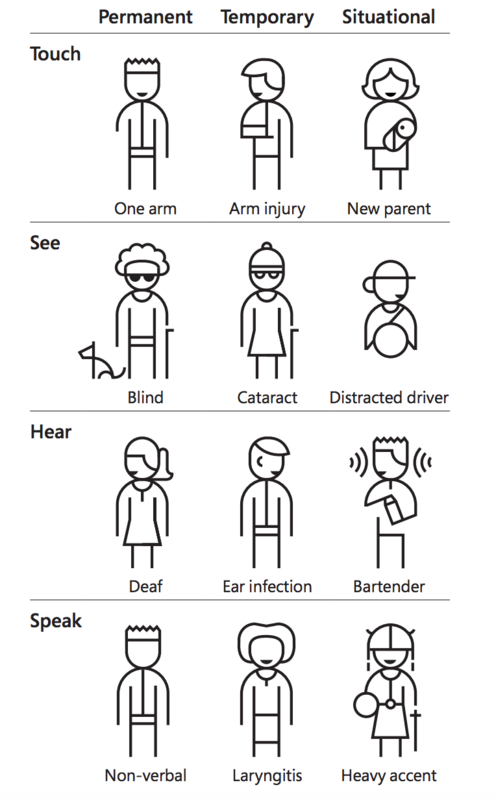 Be aware, that this is not a comprehensive list and it just summarizes my own experience with making things accessible. Check this one resource https://www.wuhcag.com/wcag-checklist/ that can help make the full accessibility audit for the website. Also keep in mind that the check should be done not only for the initial state of the page, but include also other page states. What type of issue this can catch: 1.1.1 – Non-text Content, 1.4.3 Contrast (Minimum), 1.3.1 – Info and Relationships (partly), 2.4.4 – Link Purpose (In Context), 3.1.1 – Language of Page etc. Use this extension for Chrome to disable CSS https://chrome.google.com/webstore/detail/web-developer/bfbameneiokkgbdmiekhjnmfkcnldhhm (check for the Firefox extension http://stackoverflow.com/a/14046754/4213708) and check that your web page displays in the correct meaningful order. Make sure that there no reference in the text colors of the controls that should be clicked/hovered etc. If the page contains charts: the information conveyed in diagrams and multimedia must be able to be perceived without using color cues, e.g. lines/areas on graphs should not just be differentiated by color, but also by style (dotted, dashed etc.) or labels. Check your website by resizing to 200% in a variety of browsers. Make sure your resized text doesn’t require the user to scroll horizontally. Visual check that the page doesn’t contain any images, that contain meaningful text. Access the page you want to check, using the “Tab” key only try to reach every control that is present on the page. Make sure, that you can visually identify which element focus currently is on (in most case the focus is identified by outline) and all controls are accessible by the keyboard only. P.S. When I was actually writing this post I have seen this video. I have been deeply moved by the words of Mandy: “I wanted to do more with my life than just to give up”. In our everyday job, we can do more than just create a website – with providing at least partly accessible site – we can magicians for many users.